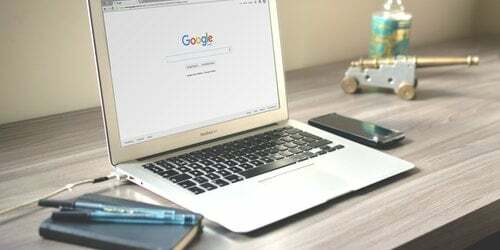 Google has patented a number of new ideas including the use of eye-tracking technology - potentially creating a whole new avenue for digital marketing professionals to explore in the future. The Internet giant has patented the idea of a "pay-per-gaze" advertising system using a Google Glass style piece of technology capable of tracking when a user looks at an ad: it then bills the company much like with current traditional Internet marketing methods. While search marketing professionals are well versed in pay per click advertising and SEO strategies, the patented pay-per-gaze advertising will bring a whole new element to the industry. The patent reads: "Under a pay per gaze advertising scheme advertisers are charged based upon whether a user actually viewed their advertisement. "Pay per gaze advertising need not be limited to on-line advertisements, but rather can be extended to conventional advertisement media including billboards, magazines, newspapers, and other forms of conventional print media." Originally filed back in 2011, it has only now been approved by the relevant bodies. If the prospect of pay-per-gaze advertising was not Sci-Fi enough, the technology is also able to track a users emotional state via measuring pupil dilation. The patent continues: "Furthermore, the inferred emotional state information can be provided to an advertiser (perhaps for a premium fee) so that the advertiser can gauge the success of their advertising campaign." Among the patents was also the idea of a 'latent pre-search', something Google Research Fellow, Jeff Dean, touched upon in a recent interview with Puget Sound Business Journal. In essence, Google Glass or another similar device would continuously scan the surrounding environment of a user, pre-empting a number of possible Google searches. Whether these patents become a reality remains to be seen, but it does offer a potential glimpse of the future of digital marketing for those in the business.